I recently struck up a friendship with Mark Hughes, author of Buzzmarketing. He asked me how he could help. I said that I felt I really needed a one-line endorsement from somebody big for the front of my book. I explained that I had in fact asked a few people, but that they had said no (they were too busy). I figured, because of the title, it was a lost cause. Plus, I really felt like having an unkown do it wouldn’t really add anything. He agreed. Mark told me not to give up and go bigger. And we put a list of people together. I was hesitant because many of the people he mentioned were philosophically at the other end of the spectrum. I wondered if that might be disingenuous. He, of course, said that didn’t matter…that matters of faith are transcendent. Once he said that, I knew he was right. He emphasized the important thing was to get my message out. On behalf of President Bill Clinton, I would like to thank you for your interest in requesting his participation in your upcoming book 10 Things I Hate About Christianity: Working Through the Frustrations of Faith. 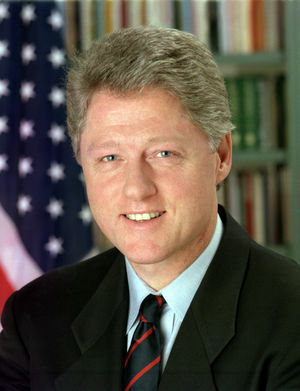 Unfortunately, due to the high volume of worthy inquiriries that he recieves, as well as the tremendous demands on his time, President Clinton is unable to contribute to as many of these requests as he would like. President Clinton and I [his Chief Operating Officer] wish you all the best and success in this work and your future endeavors. We appreciate your understanding. This entry was posted by Jason Berggren on July 15, 2009 at 9:32 am, and is filed under Jason In Real Life, Unauthorized Blogs. Follow any responses to this post through RSS 2.0. You can leave a response or trackback from your own site. For sure. I was just happy not to be ignored. Interesting that he considered your request “worthy” and that he would have like to respond if he had the time. One can read between the lines. They also wished you all the best in this work and future endeavors. That’s quite the endorsement without being an endorsement!